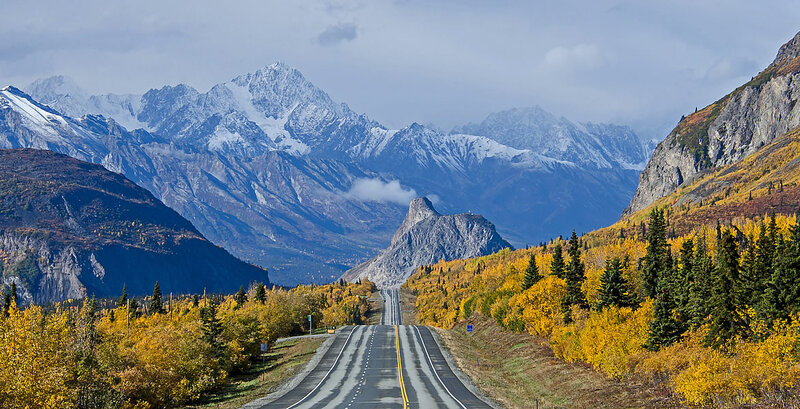 If you live in Alaska you will want to find a reliable moving company to ensure that your possessions are transported safely during your relocation. Seek a company that offers local or long distance services to meet your specific needs. A good moving company will have the skills, experience, and tools necessary to help make your move a success. At Golden North Van Lines, we offer you all of this and more with our Alaska relocation services. We will be happy to help make the moving process a fun and easy experience. Our professional movers will start off by offering available packing services. We are happy to come to your home and supply you with proper packing materials so nothing gets damaged or broken during your move. Our Alaska moving professionals will use reliable boxes, packing tape, and other materials. Take advantage of our extensive packing skills to carefully move your valuables. Nothing should shift or get damaged during your move to or from Alaska, if you hire our reputable moving company. We will transport your items anywhere you need. Our professional movers work fast and efficiently to quickly and safely relocate your items. We ensure your items arrive at your new location in the same condition as when they left. If you need a place to store your items, we can help with that too. When relocating in Alaska, hire a moving company you can count on. We have been in business for several years, helping many people with their moves. Good movers have many satisfied customers, and should be able to provide references and clearly-defined expectations. We arrive on-time and take care of the hard work so you can relax. Hire our professionals to do the heavy-lifting so you can focus on more important things during your move.